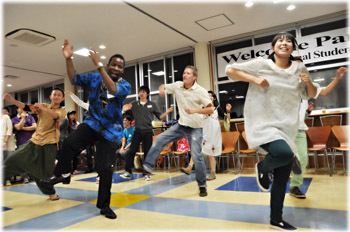 To promote mutual friendship and understanding between international students and Japanese students, faculty members, university officials. 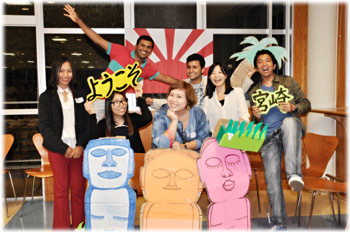 As well as fostering friendships between the international students themselves through various activities and social gatherings. 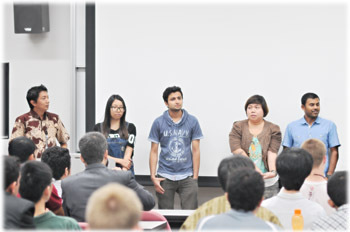 To represent the international students in expressing their needs on matters related to their daily campus life and stay in Japan and to communicate these needs to University administration officials and other agencies concerned. 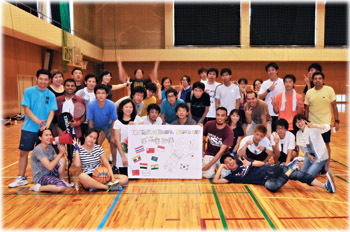 Any international student at the University of Miyazaki can become a member. © 2013 University of Miyazaki.